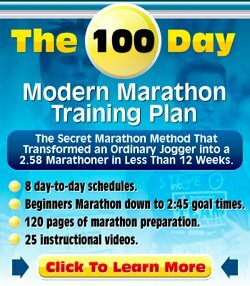 I am a beginner runner, following your 10k program. Thanks for putting it up - it's really helpful!. I was a little less tired, and my overall average speed was actually a bit faster than when I was just running! I was wondering though what is your view of walking breaks? Do you think you can get an equally good workout and improve your running just as much inspite of the breaks, or is it better to stick to straight running? Also, how is it best to build the breaks into your running program? Should I run for longer because I take walking breaks, or just stick to the overall times in the program?. Great to hear you are doing my 10k running program. Taking walking breaks as a beginning runner is definitely fine, in fact I recommend doing exactly that in my Beginner Running Programs. One of the main benefits of walking breaks is that you are able to go for longer, as you have discovered. Your running program is probably still quite demanding on you at the moment, causing you to drop speed in the last part of your running training. However, by taking the walking breaks you are able to keep up the speed till the end and even run faster overall. As far as the time spent during the workout goes: as a general rule I would say that you would still have to stick to the prescribed amount of running in one workout (so add a few minutes because of your walking breaks). However, considering you are only doing one minute of walking for every 10 minutes of running, I'd even say that that's not highly critical. Above all, keep in mind that the running programs on my site are just guidelines, not gospel (and this is true for all pre-defined non-personalised running programs you find on the internet). Best of luck with your running. I hope you successfully finish the 10k running program!